(May 29, 2014) -- Cardiovate, a biomedical technology company that got its start in the labs of The University of Texas at San Antonio (UTSA), has completed a patent and technology license agreement with UTSA and the UT Health Science Center San Antonio, which will allow the company the access required to continue its research and product development initiatives. In addition, the company, known for its innovative graft technology, has hired Mark Standeford as its new CEO. Standeford is a 27-year veteran of the medical device industry, who has successfully developed and commercialized more than 35 new devices that have generated billions of dollars in incremental revenue. Before joining Cardiovate, Standeford held key positions at KCI and Hill-Rom, and served as president of M&C Services, a business consulting practice. In each of these positions, he was responsible for setting strategy and leading company growth through innovative new products and business development opportunities. "The ability to help treat and heal the body is the basis for health care," said Standeford. 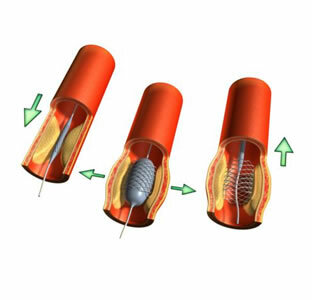 "The technology developed by Cardiovate will better address the tissue regeneration needs that exist by providing a product that has the benefits of a synthetic with the physiological outcomes of a biologic. Better healing with lower risks and treatment costs are key objectives with these products. This will allow us to develop a portfolio of opportunities that will generate considerable value for patients, clinicians and for the company." Cardiovate was founded in 2012 by UTSA alumna Jordan Kaufmann, UTSA biomedical engineering professor; Mauli Agrawal, UTSA vice president for research; and Steven Bailey, M.D., division chief for cardiology in the UT Health Science Center San Antonio School of Medicine. Kaufmann developed the graft as part of her doctoral research with the support of faulty advisers Agrawal and Bailey, who now serve on the Cardiovate board of directors. In 2012, Kaufmann won the University of Texas Horizon Fund Student Investment Competition, which came with $50,000 in seed funding. In 2013 at the Innotech Conference, she won the pitch competition at the Emerging Medical Technology Symposium. Cardiovate currently operates out of the New Venture Incubator, a 3,000-square-foot wet lab at the UTSA Main Campus managed by the UTSA Center for Innovation and Technology Entrepreneurship for the purpose of hosting emerging technology and biomedical device companies. "UTSA has been fostering the creation of faculty and student startups for several years and Cardiovate is a prime example of a successful research collaboration between UTSA and UTHSCSA that has made the transition to a startup company," said Cory Hallam, UTSA chief commercialization officer. "Cardiovate has been incubated in UTSA's New Venture Incubator and received an initial $50,000 investment from the UT Horizon Fund, all key actions leading to the hiring of a seasoned CEO and management team that will propel the technology and company forward." For more information, visit the UTSA Office of Commercialization and Innovation website. Cardiovate is a medical technology company that targets transformational health care opportunities in tissue regeneration through the development of novel products that utilize proprietary materials and processes along with a deep understanding of clinical needs.